This paper will consider the relevance of measurement and monitoring – defining inspection routines, inserting them into the end-to-end application processing, and reporting the results. 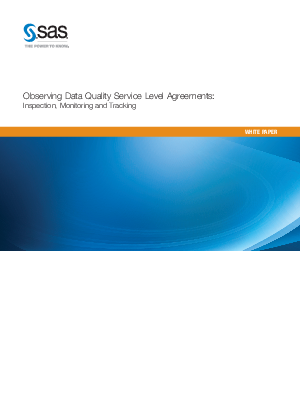 When the quality of data fails to meet the level of acceptability, the issues are logged into a data quality incident tracking system, and the people specified in the DQ SLA are notified for diagnosis and remediation. Through this operational data governance, an organization can continuously monitor and control the quality of organizational data.